01NOV18.- Minister for Employment Affairs and Social Protection, Regina Doherty, T.D., has welcomed the latest monthly unemployment figures, which were announced today by the Central Statistics Office (CSO). 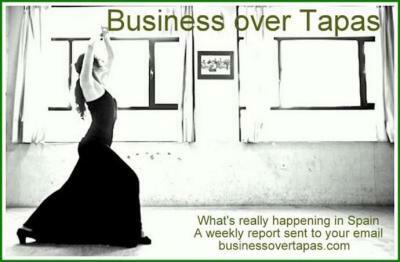 27OCT18.- For subscriptions and other information about this site, go to businessovertapas.com - email: businessovertapas@gmail.com - ***Now with Facebook Page (Like! )*** Note: Underlined words or phrases are links to the Internet. Right click and press 'Control' on your keyboard to access. Business over Tapas and its writers are not responsible for unauthorised copying or other improper use of this material. Subscription and e-mail information in our archives is never released to third parties. 19OCT18.- For subscriptions and other information about this site, go to businessovertapas.com - email: businessovertapas@gmail.com - ***Now with Facebook Page (Like! )*** Note: Underlined words or phrases are links to the Internet. Right click and press 'Control' on your keyboard to access. Business over Tapas and its writers are not responsible for unauthorised copying or other improper use of this material. Subscription and e-mail information in our archives is never released to third parties. 13OCT18.- For subscriptions and other information about this site, go to businessovertapas.com - email: businessovertapas@gmail.com - ***Now with Facebook Page (Like! )*** Note: Underlined words or phrases are links to the Internet. Right click and press 'Control' on your keyboard to access. Business over Tapas and its writers are not responsible for unauthorised copying or other improper use of this material. Subscription and e-mail information in our archives is never released to third parties. 06OCT18.- For subscriptions and other information about this site, go to businessovertapas.com - email: businessovertapas@gmail.com - ***Now with Facebook Page (Like! )*** Note: Underlined words or phrases are links to the Internet. Right click and press 'Control' on your keyboard to access. Business over Tapas and its writers are not responsible for unauthorised copying or other improper use of this material. VSubscription and e-mail information in our archives is never released to third parties. 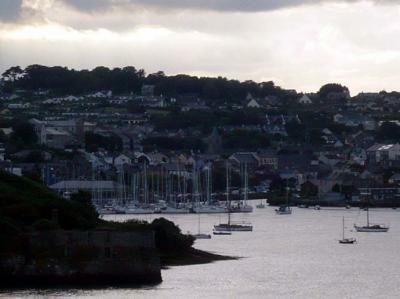 03OCT18  MÁLAGA.- George Campbell was born in Co. Wicklow. He died in 1979 but for the last 27 years of his life he spent 5 months of each year in Málaga, Spain. He became an integral part of life in Málaga and to this day there is great affection felt for Campbell. 26SEP18  MADRID.- Donal Cam OSullivan Beare es uno de tantos rebeldes que huyendo de la persecución de las autoridades británicas que sometían a su patria, Irlanda, buscaron refugio en España. Este año se cumple el cuarto centenario de su asesinato en Madrid, a manos de un esbirro de la monarquía inglesa. 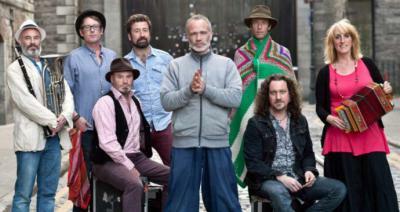 20SEP18  CACERES.- El grupo Kíla, procedente de la zona de Dublin y que fusiona la música tradicional irlandesa, encabeza este año el cartel del XV Irish Fleadh de Cáceres (del 25 al 28 de octubre), cuya programación completa se desvelará el próximo día 4 en una presentación oficial en la Embajada de Irlanda en Madrid. 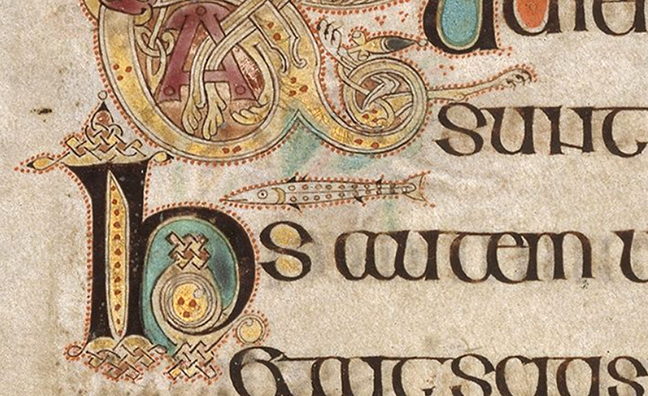 Dublin September 11th, 2018  A new, free, online course developed by Trinity College Dublin will allow learners worldwide to explore the history of Ireland through the remarkable Book of Kells  one of the world's most famous medieval manuscripts. 11SEP18.- On the first of November a 1969 a meeting of teachers of Spanish took place at Trinity College Dublin to found the Spanish Teachers Association, thus fulfilling one of the recommendations of the previous conference.